This is a Game Boy made by MaboroshiTira. It doesn't work, in so much as you can't put a regular cartridge in it and play it. 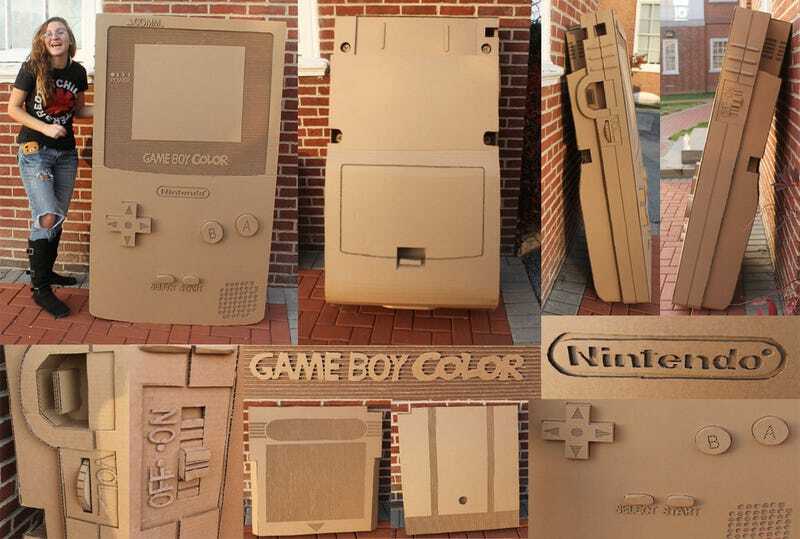 Because, uh, it's made of cardboard. Its buttons do press in, though, which is a bonus, because really, just looking at this thing is pleasure enough.